The historic resort community of Crescent Beach is one of South Surrey's most popular attractions. Just up the road, the Historic Stewart Farm located in Elgin Heritage Park, provides a glimpse of Surrey's farming history. Nearby, the Semiahmoo Trail offers recreational opportunities along one of Surrey's earliest trails. Treasured natural features in South Surrey include Serpentine Fen Nature Reserve, Sunnyside Urban Forest and Redwood Park. South Surrey is also home to a number of premier recreational facilities such as Softball City, South Surrey Recreation Centre and Hazelmere Country Club. Recent development in the Grandview Heights neighbourhood of South Surrey has created new shopping opportunities in close proximity to new residential neighbourhoods. 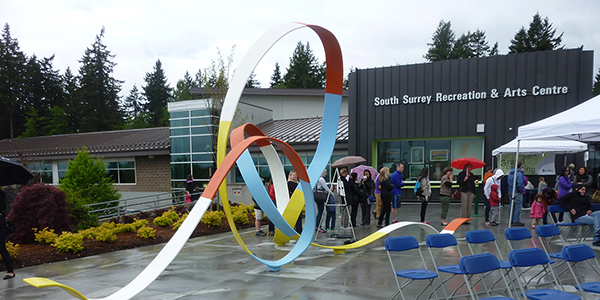 South Surrey also offers convenient connections to the United States through the Peace Arch and Pacific Highway border crossings.